Dark blues won this week! I had no idea I had so many. 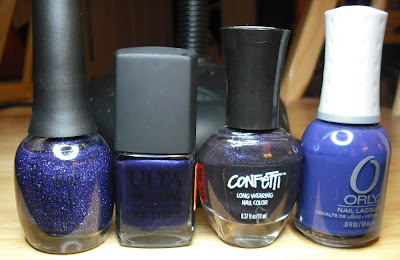 Dark blue polishes are clearly one of my favorites. 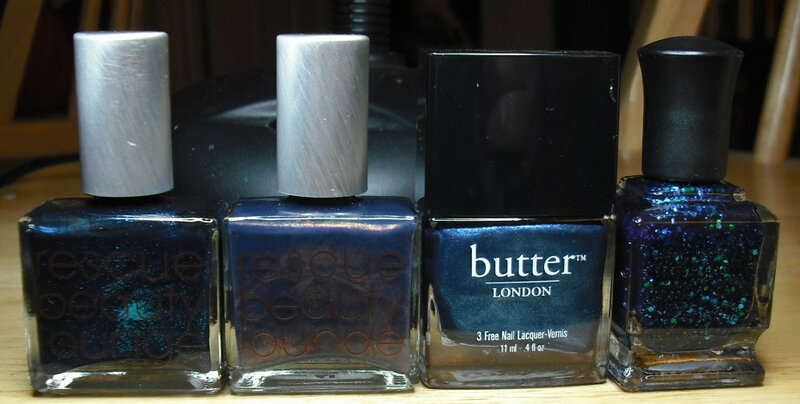 It's also obvious that when it comes to dark blue polish, I'm willing to splurge a little too. 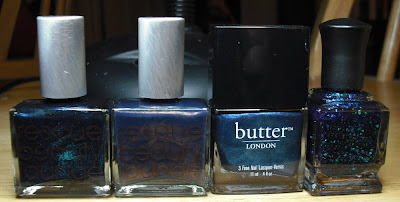 I am also a total sucker for dark blues! Nice collection of blues. I don't have many blues in mine. 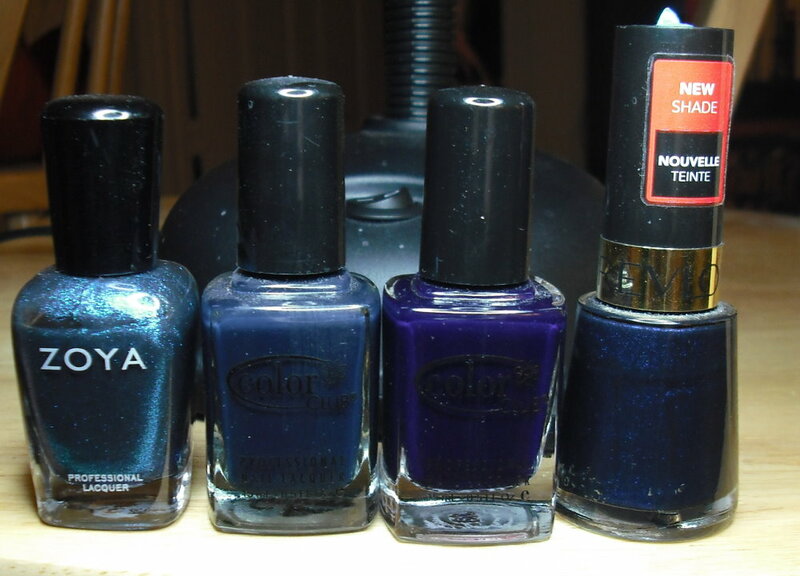 I think you have a pretty well-rounded collection of dark blues! I am loving the RBL one....wow! 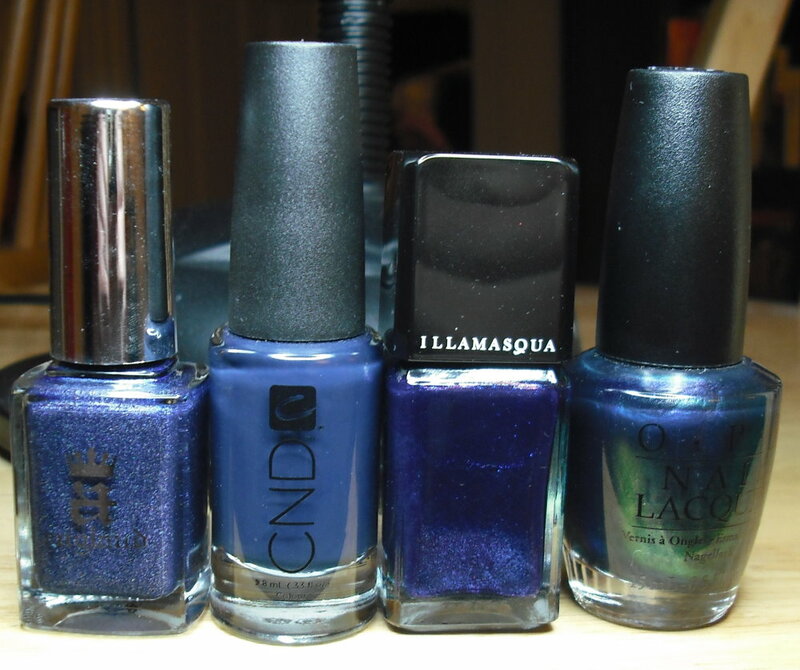 I have several that you have, and more, and I think my favorite is the Wet and Wild Blue Moon. Who knew. Guess I better find a back up. Absolutely gorgeous shades; there are so many that I want! hey Steph! 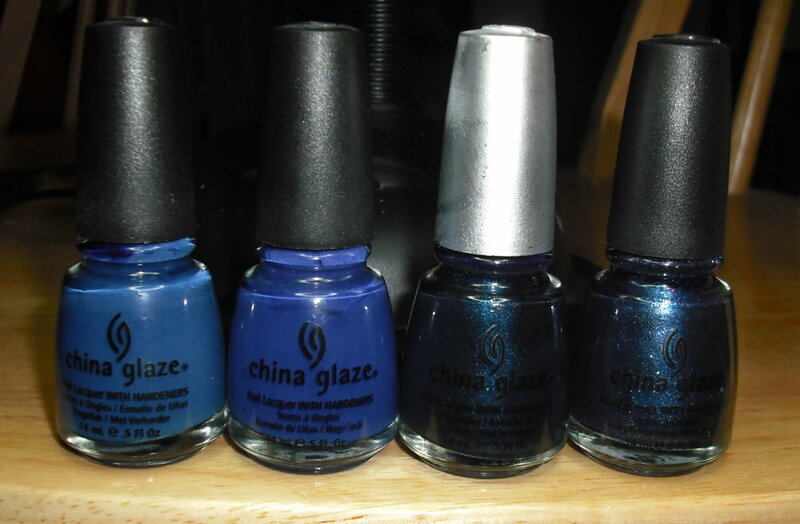 noticed in this post that you own two polishes I was wondering about: Zoya Kotori and China Glaze Midnight Mission. I own Kotori but I kinda want MM too :P are they pretty similar? is MM about the same, just maybe a little darker? thanks!